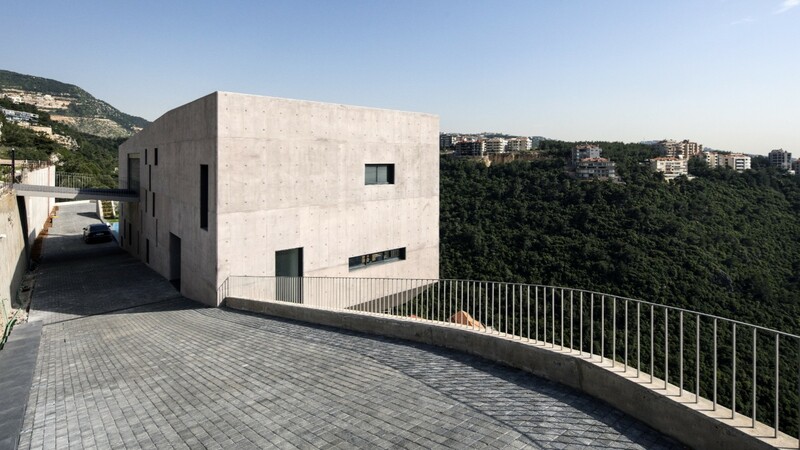 Set on a steep mountainside, this villa sits like a rock that has survived erosion, an architectural extension of the mountain that simultaneously serves as a point of fracture and a limit. 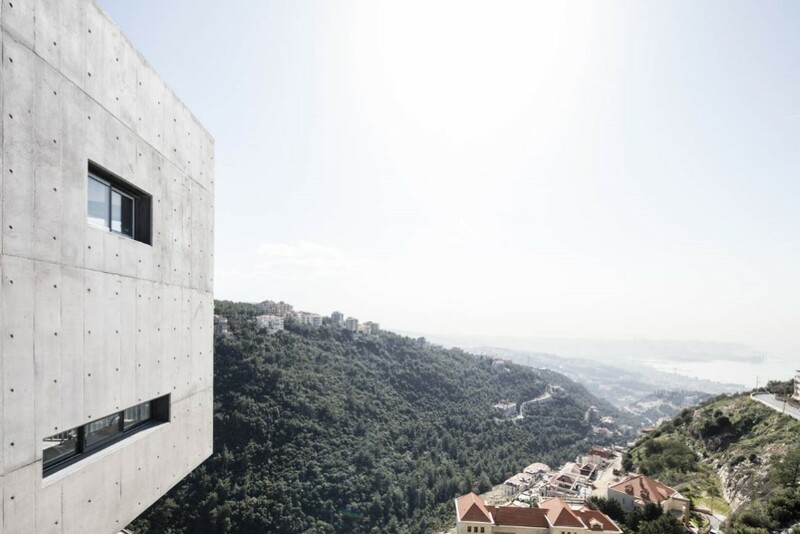 Located close to a main road above, the project resembles a powerful monolith, its details difficult to see. 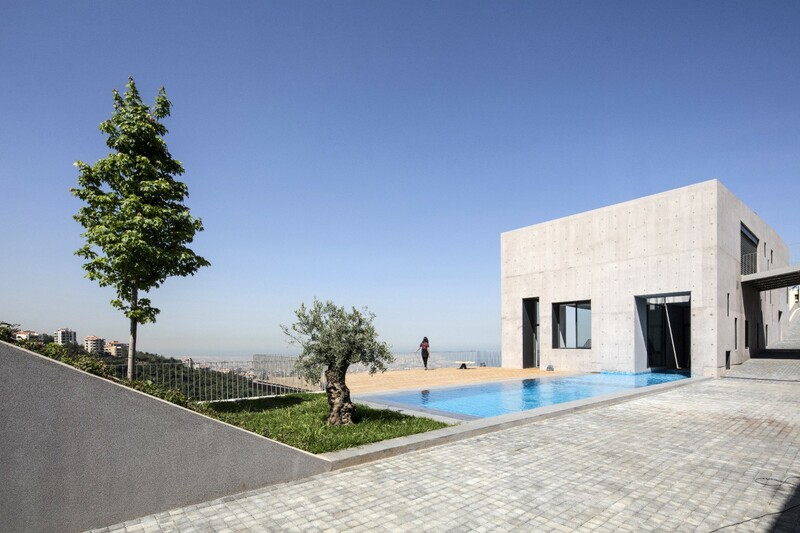 The twin strategy of extending the house into the landscape outside and integrating the landscape with the interior creates a sensation of contradiction that lies somewhere between liberty and confinement. 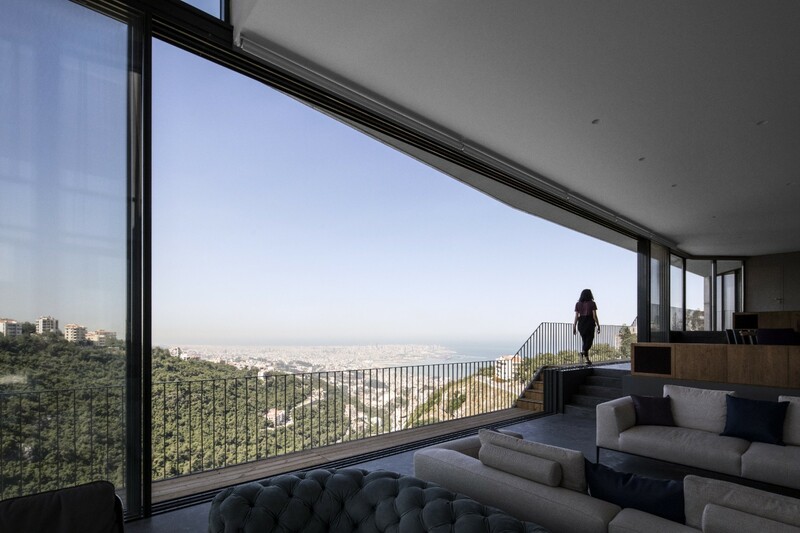 Free of internal structure and open to the view of Beirut and the sea, the house is characterized by its open plan and multiple staircases that become generators of distinctive spatial experiences. 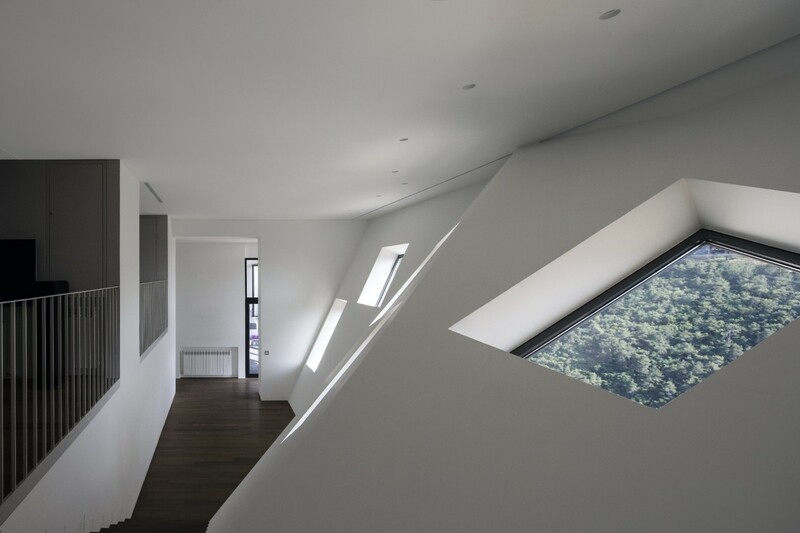 Each new space becomes an intermediate zone for the one that follows, elements in the creation of a two-way movement through the house. 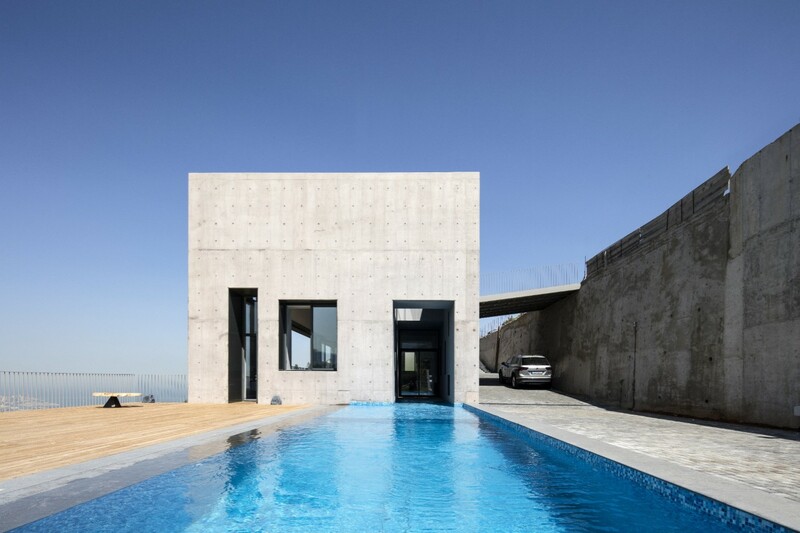 Both a transitional space and one that expresses a strong connection between the built environment and nature, the pool area extends from the terrace to the entrance. Reception and entry areas have panoramic 180-degree views that are extended by the monumental terrace overlooking the valley. 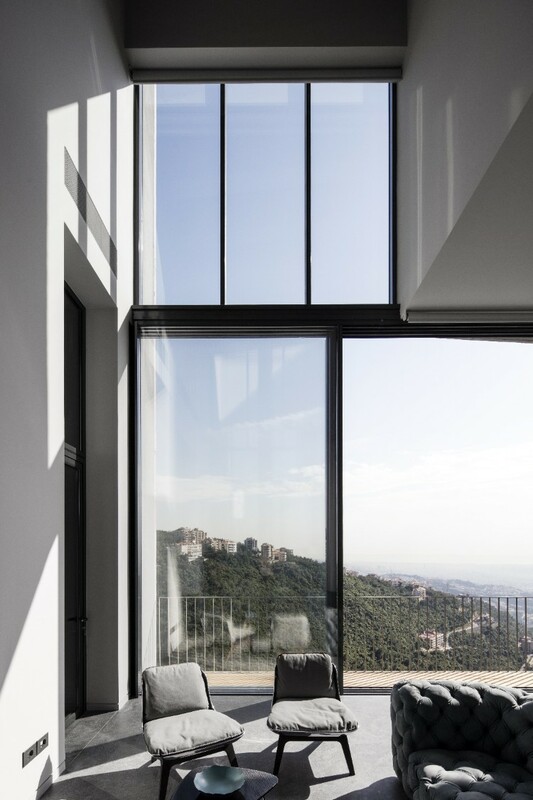 The living room on the lower level overlooks the valley while the bedrooms open onto Beirut via vast glass walls, framing the ‘tabula rasa’ of the coast.